You only have to watch the news these days to realise that burglary is a very real concern for homeowners. How can you keep your home safe in a time in which so many burglaries are being committed? You’ve got the security alarm and cameras already installed – what else can you do? As a leading supplier of security doors in London, we can’t stress enough the importance of having a secure front door. A lot of people believe that most burglars will enter by a window – this is how it happens in movies right? Statistics actually show that they are more likely to enter through your front door. Looking to burglar-proof and fortify the entrance to your home (or business)? We suggest you follow our top 4 tips. Many people prefer doors that have windows because they allow light into the house and make it look a lot more attractive. Unfortunately, these types of doors are also a huge security risk. If the window is located within arm’s reach of the lock, it makes it incredibly easy for someone to break the glass and reach in to unlock your door. Therefore, it’s definitely worth installing one without a window. The stronger the lock, the more secure your door will be. This is why the lock you choose is extremely important. A strong door can still easily be kicked in if the lock isn’t strong enough or doesn’t extend enough into the doorframe. 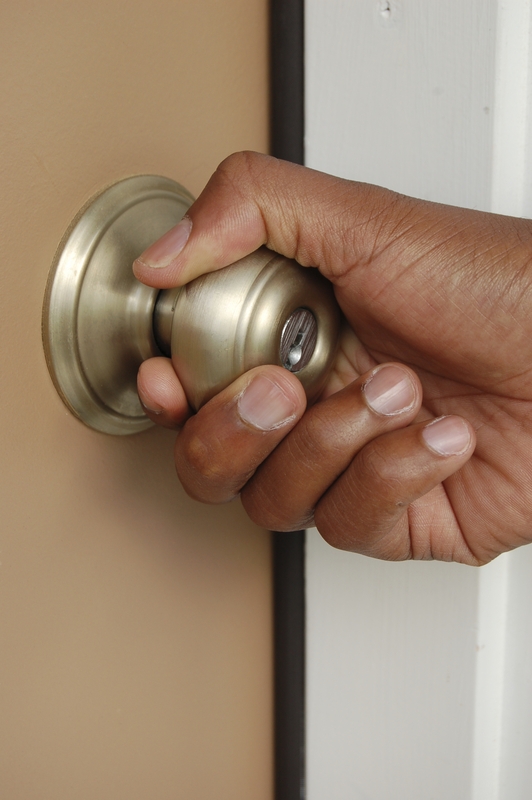 When choosing a deadbolt for your door, we advise you to check that it has a Grade 1 security rating. You should also add a strike box to firmly secure it to the frame. A peephole will allow you to see who is on the other side of the door – without having to open it! This is extremely useful for those who have followed our advice for choosing windowless doors. Make sure you install one with a cover – you don’t want anyone on the outside using it to look into your home! Burglars often enter the house by your front door, which they do by forcing the door frame. To prevent this happening to you, you should make sure that yours is securely bolted to the walls surrounding it. We suggest strengthening this by fitting unique bars – this makes the hinges sturdier. If you’re looking to purchase security products for your residential, commercial or industrial property, we can help you out. Please contact us on 0845 644 1225 and a member of our team will be happy to help you out!